Our Richmond chiropractors and wellness professionals at Ambrose Chiropractic and Acupuncture Clinic INC. are transforming the way health care is experienced and delivered. We specialize in offering an integrative approach to your health and wellness. Our complementary array of services unites the highest level of chiropractic, acupuncture, physical therapy and massage therapy to serve your individualized wellness needs. Whether it is your goal to restore that familiar place of balance or have us assist you on a new path toward wellness, our warm and caring team is ready to bring you forward. 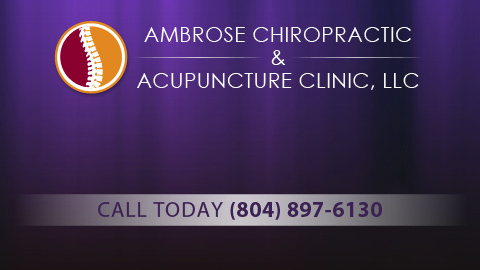 Dr. Ambrose is a Richmond chiropractor who strive to understand and exceed your individual wellness goals. We accomplish this by developing personalized treatment plans to help you reach optimal health. We value the experience each of you has with our care and endeavor to see you thrive. As a trusted part of the community, our Richmond Chiropractic office is conveniently situated and can be easily accessed by the greater Richmond, Virginia area. Our Richmond chiropractic care focuses on the relationship between the structure and function of the spine and how that relationship promotes and restores total body health. As Richmond chiropractors and holistic health care practitioners, we acknowledge the inherent rejuvenating power of the body to heal without the use of drugs or unnecessary invasive procedures. We know that our differing lives, stressors, families and careers make each and every one of us unique. At your visit to our Richmond Chiropractic Clinic, we look forward to hearing your story to develop and tailor a treatment plan that reflects your path. Through the use of specialized chiropractic, acupuncture, physical therapy and Richmond massage therapy techniques, together, we will set your course into action! Are you a newcomer to the techniques we have described such as acupuncture and massage? Wondering whether physical therapy or a combination of therapies is best for you? Our testimonials are a great way to familiarize yourself with the therapeutic benefits our chiropractor and wellness team deliver. Would you like to share how our integrative approach has improved your life by providing a testimonial? Your experience can help others learn about and motivate themselves toward health! Please contact us by clicking on the "contact us" link in our side bar. To become a member of our clinic community, we invite you to subscribe to our newsletter to begin receiving updates via email. Are you ready to learn more about achieving wellness? Then you'll love exploring our wide array of articles, interactive videos and frequently asked questions created for your continued wellness. 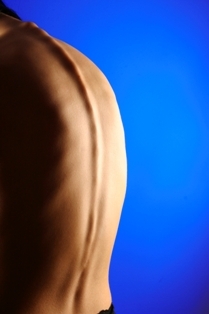 Visit our Community Content section or launch the 3D Spine Simulator to get started now! At Ambrose Chiropractic and Acupuncture Clinic INC., we value the importance of integrative medicine, scientific excellence and to uphold our commitment to serving you, our community and our profession!